What? You don’t consider August the start of the new year? Look at the stores, the commercials, the newspaper inserts, there can be no doubt about it — the start of a new school year is right around the corner. And with the new school year comes a very exciting time for us here at The Rose: the beginning of a new year of classes! Our new slate of classes is now open for registration, so now is the PERFECT time to start making plans for the new year. Try something new! It might be a new dance class in a genre you haven’t explored before or experimenting in one of the many DRAMA at The Rose options, but it is always exciting to stretch your imagination and your skills with something completely new. Audition! Whether you want to try out for our The Dance Lab at The Rose competition team, show off your triple threat skills in Rose Brigade, participate in a work devised completely by you and your friends in a Teens ‘N’ Theater production or step into the spotlight in a mainstage production, we encourage you to just GO FOR IT! You never know just what might happen when you put yourself out there and TRY! Be in a show! Many of our classes culminate in a production. Taking your first few steps on the stage? Try the Jungle Book or Peter Pan Production Classes, which will put a full-fledged student show on our smaller Hitchcock Stage, or any of our DRAMA at The Rose production classes, the highlight of which is a spring production with costumes, props and lights, performed alongside your fellow students on The Rose mainstage and Hitchcock stage. Have you always dreamed of performing on The Rose’s mainstage? 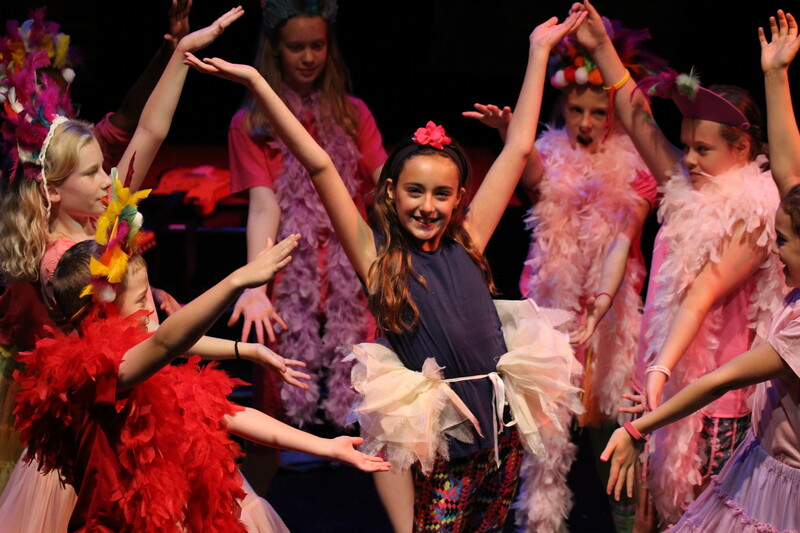 Check out any of our dance classes or musical theater classes, all of which end the year with a full performance on stage, complete with lights, costumes and more. Want to strut your stuff in front of industry professionals? Then you should absolutely audition for The Rose Brigade! The opportunities at The Rose are truly endless! You can take a look at all the things The Rose has to offer students this fall with this handy tool that will help you find the perfect class, based on your age and interests. We can’t wait to see where this year will take you! Find Your Fit: 2018-2019 School-Year Classes Become a Rosebud!